This Boiler Control Panel was used on the No. 2 Boiler at the Rossdale Power Plant. The panel controlled the amount of fuel and air entering the boiler furnace, which was determined by the amount of steam required at a given time. 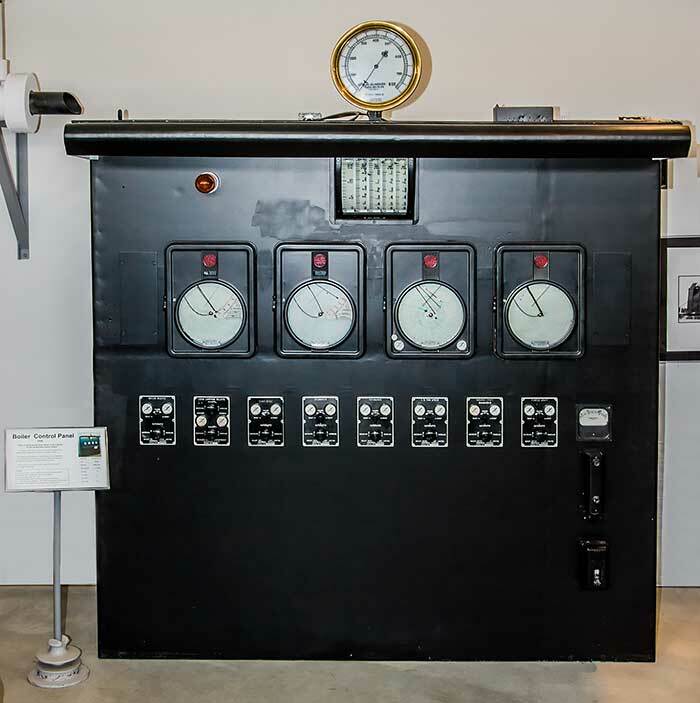 The control panel operated by measuring fuel, air and steam flow. The information was processed and used to adjust the fuel and air so the boiler could operate in a safe and efficient manner. The operation was similar to the function of an engine control computer used in today's automobiles.